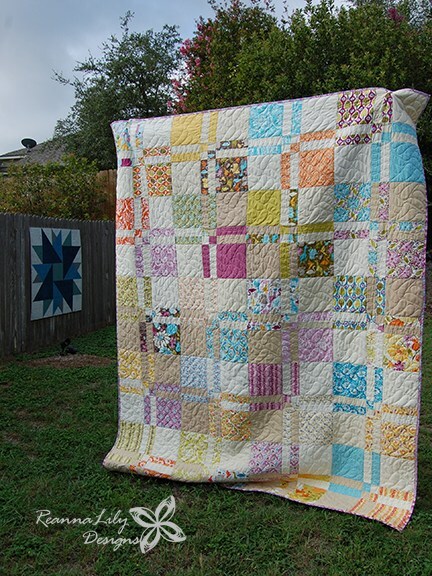 Make a Disappearing 4-Patch Queen-Sized Quilt in a weekend! Learn the tricks to use precut 10? squares (Layer Cakes), ruler stacking, and a serger to make quick work of this bright, large quilt. When this baby is finished and bound it measures 76? x 95?. Yes, it is that big.